Today, I waited till the sun hit the tent to begin my climb to Camp II, knowing that the winds would die down in the afternoon. Again, the weather was cloudy with a strong breeze which made climbing the steep slopes to Camp II more tolerable. I carried everything I needed for the night so I had an extremely heavy pack. Despite this, I made it to Camp II in under four hours. 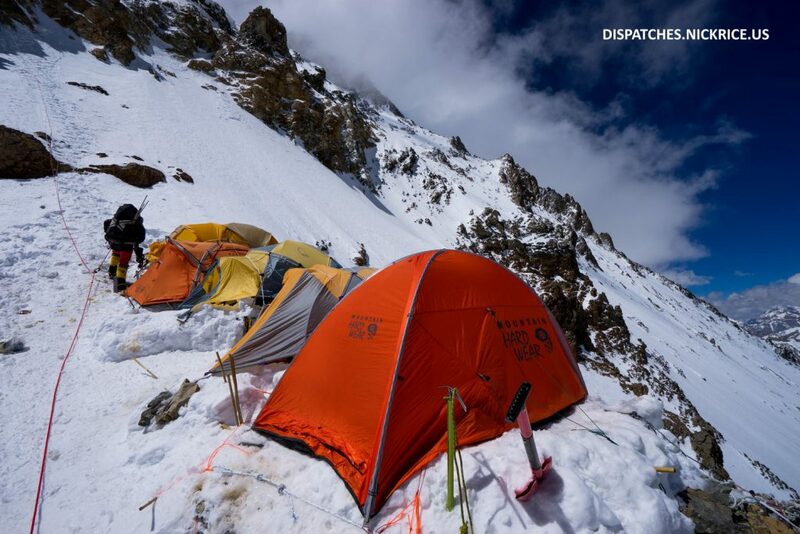 Normally Camp II is placed just above House’s chimney, however, due to the crowds of commercial expedition members whose tents had been placed earlier by Sherpas and High Altitude Porters, I elected to place my Camp II just beneath the chimney. This location encountered less wind and was less crowded. Upon arriving, I spent the better part of an hour carving out a platform into the steep slope, and securing my tent to old fixed lines and a broken tent from another season. Once this was done, I settled in, made water, and relaxed. Badia and Mauricio arrived from their climb towards Camp III in the late afternoon. They will spend another night here in Camp II before descending to Base Camp tomorrow. Eva and Domi also arrived from Base Camp and we all chatted before bed. 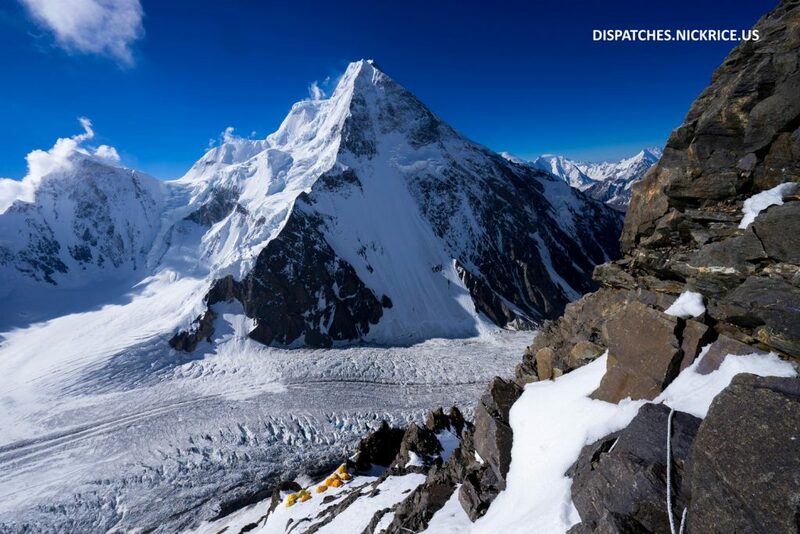 Tomorrow, I intend to climb towards Camp III before descending to Base Camp before the bad weather on the 14th.